Happy 2018 Disney friends! For those that haven’t had a chance to visit Aulani, Disney’s amazing Hawaiian retreat, we’re confident it would be the perfect vacation destination in the year ahead. To give you just a glimpse of this fantastic property here’s a few fun facts to show you a bit of the flavor and culture of this fantastic getaway. What’s in a name? “Aulani” means “messenger of a chief” or “messenger of greater authority.” Disney chose this name because they wanted the resort to serve as a messenger of higher authority by sharing the beauty and customs of Hawai’i. Be on the lookout for the Menehune – Throughout Aulani you’ll find these legendary “little people’ hidden among the landscape. Throughout your vacation, its fun to keep a tally on how many of these mischievous little creatures you can find. For Art Lovers – Aulani has one of the largest private collections of contemporary Hawaiian art in the World. Half the fun is seeing what amazing treasures await around each corner. A snorkeling experience like no other – Don your snorkeling gear and head to the Rainbow Reef, the only snorkeling lagoon on O’ahu. Here you’ll find over 1,300 brightly colored fish. Learn the Hawaiian Language while sipping on a cocktail – The ‘Ōlelo Room houses approximately 150 shadow boxes containing hand-carved wooden examples of common, everyday objects labelled with their Hawaiian language names. The bartenders are also fluent in the Hawaiian language and are happy to teach you a phrase or two while you tuck into one of the amazing libations on offer. A Tip of the Hat to Disney – There’s a concrete bridge that traverses the Waikolohe Stream at Aulani which is inscribed with the date 1923. This is the founding date of the Walt Disney Company. Teens Get Their Own Spa – Painted Sky is a teens only space where guests can enjoy spa treatments, special activities and more. Seven Acres of Water-filled Fun – Aulani offers pristine swimming pools, waterslides for the kids and a lazy river. “Waikolohe” is Hawaiian for “mischievous water” – Speaking of water, Aulani’s magical Waikolohe Valley was created to mimic the surrounding Hawaiian landscape. Its more wet and forested at the high end near the mountains and drier and more open the closer it gets to the sea. A Mouthful of Mail!- The mailbox outside Aunty’s Beach House is themed after the state fish, the humuhumunukunukuāpuaʻa, also known as “triggerfish.” Pronounced: hoo-moo-hoo-moo-noo-koo-noo-koo-ah-poo-ah-ah. Aulani’s Volcano is Not What it Seems – You’ll notice a towering figure that looks like a volcano in Aulani’s skyline. Its not a true volcano but is more of a geological remnant named “Pu‘u Kilo.” The name also references the many hidden kinolau images embedded within the caldera’s surface. Some guests have spotted an owl, an eel, a whale, a shark, or even a sea turtle. Take your time and see what amazing images you can find. What Do Aulani and the NFL Have in Common? Aulani is actually situated on land once owned by the National Football League as a training site for the Pro Bowl. Not just any green resort. Aulani is the first resort in Hawai‘i to obtain Leadership in Energy and Environment Design (LEED) Silver Certification. The designers of the resort implemented green technologies and elements that promote sustainability, energy efficiency and eco-consciousness. Traditional Hawaiian Design – To make this island retreat as authentic as possible, Disney enlisted the help of an 80-year old native Hawaiian craftsman to help construct the ceiling in the main lobby. It’s made of real ‘ohia wood combined in a traditional Hawaiian lashing technique that goes back centuries. Award Winner –Travel + Leisure voted Aulani, a Disney Resort and Spa a top resort for families in the World’s Best Awards! With all of these exciting offerings and amazing details, we hope you’ll considering making Aulani, a Disney Resort and Spa your go-to to destination in 2018. Thinking about a visit to Aulani? Packages are currently available to book through until the end of 2018. Read below to find out how you can get your FREE quote. Find articles like this helpful? Then why not consider booking with an Authorized Disney Vacation Planner? 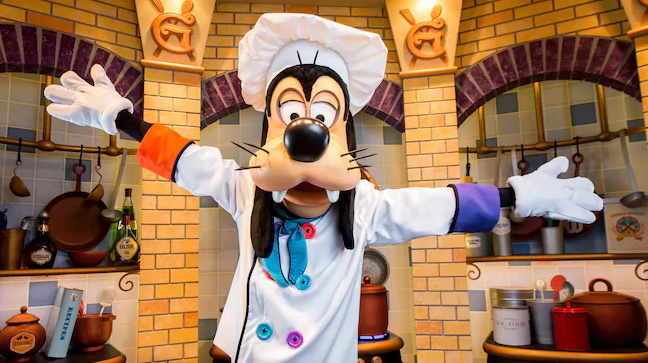 As an agent with MickeyTravels, I’ll be on hand to help with everything from finding your perfect package to sharing tips and tricks to help you get the most out of your time at Disney. Best of all my services are absolutely FREE. Get in touch at 1.800.801.4025, via email at mroden@mickeytravels.com or follow along on Facebook.